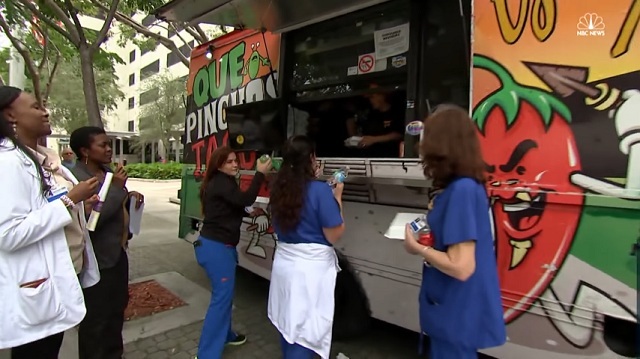 Video out of Florida shows the Clinton machine is busing people to the polls and luring them to vote using taco trucks. Now we know what the DNC meant when they said they needed more "taco bowl outreach." SEIU, which has endorsed Hillary Clinton, appears to be behind the scam.